OKOLONA- Deacon L.C. Green was born on January 13, 1926, in Pontotoc, MS, to the late Elijah Green and Willie Beatrice Terrell Green. He was the oldest of 7 children. L. C. Green lived and worked in Pontotoc most of his life. He joined Piney Grove Baptist Church at an early age, where he became a baptized believer and later, a deacon. He married Leola Jones at an early age and established a family with the addition of four children: 2 sons, Willie C. Green and Jessie B. Green; and 2 daughters, Elizabeth Green and Oria Bell Green. After the death of his wife, Leola, he met and married Annie Bell Parks, who along with her son, Eddie Parks, extended his family and filled his life with joy, once again. Following this union, L.C. moved to Okolona and joined Union Grove Methodist Church, in Nettleton, where he served as Sunday School Superintendent, sang in the choir, and was VO if the make chorus. He remained a faithful member until his death. He was employed with M.K. Griffin, in Pontotoc, which later became Boyle’s Tires, where he retired. He loved his work, which led him to tinker on old cars and electronics, as a hobby. L.C. Green also enjoyed watching westerns on TV, along with the game of baseball; he was an avid Atlanta Braves fan, but his biggest joy and most faithful pleasure was his walk with the Lord, which was evidenced by his warm smile, kind manner, and daily devotion. 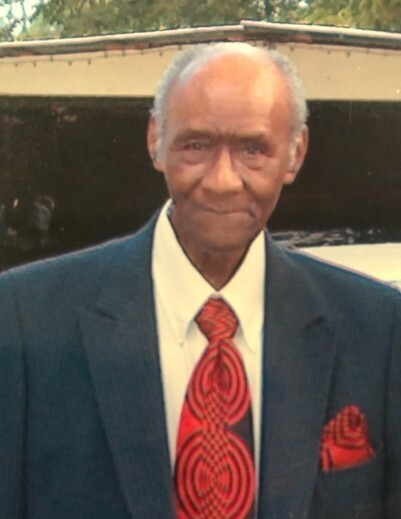 L. C. Green departed his earthly life on Monday, March 25, 2019, at the age of 93 at North Mississippi Medical Center in Tupelo. He leaves to cherish his memory, his two daughters, Elizabeth Green and Oria Bell Green, both of Los Angeles, CA; a son, Eddie Parks; one sister, Dorothy Green Dandridge, of Pontotoc; one sister-in-law, Marie Autry Green, of Racine, WI. ; 11 grandchildren, 22 great-grandchildren, and a host of nieces and nephews. He was preceded in death by wife, Annie Bell; his sons, Willie C. and Jessis B.; parents, Elijah and Willie Beatrice; 2 brothers, Clinton Green and James Green; and 3 sisters, Nannie Green Harris, Effie Green Ragland, and Annie Green Morrow. Services will be held on Saturday, March 30, 2019 at 1p.m. at Union Grove United Methodist Church in Nettleton, MS with Rev. Perry Carr delivering the eulogy. Burial will take place in the church cemetery. Serenity-Autry Funeral Home of Pontotoc is in charge of the arrangements. Visitation will be on Friday, March 29, 2019 from 4-7p.m. at Serenity-Autry Funeral Home Chapel.